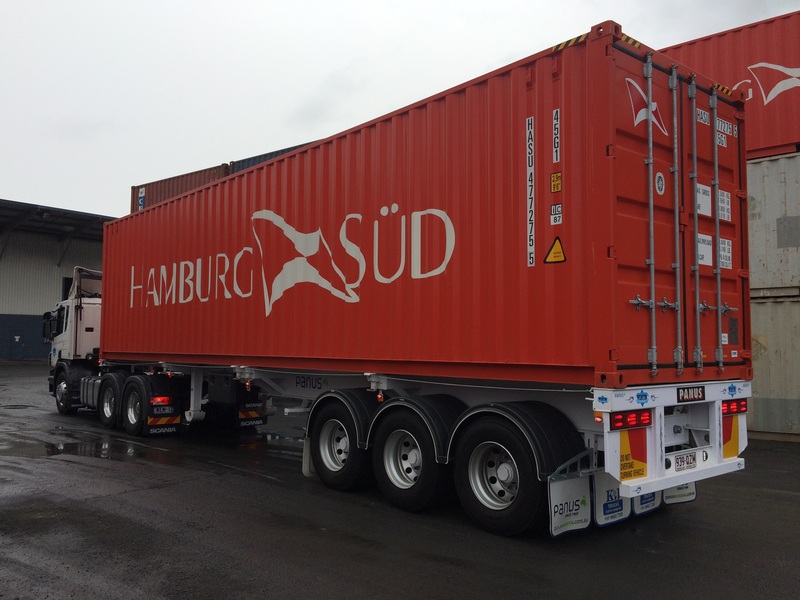 Panus Semi-Trailers and their Northern NSW dealer, K&J Trucks Coffs Harbour, are privileged to again be selected by Queensland based operator Wemyss Transport to supply them with two additional 40ft Skeletal trailers to help them service the container movement needs of customers to local and interstate destinations. Established in 2003, Wemyss Transport is a privately owned and operated family business that is based in the Port of Brisbane precinct and the Company’s success can be directly attributed to the dedication and hard work of the forty plus drivers and staff that make up the Wemyss Transport Family. The relationship between Stephen Wemyss (Director) and K&J Truck’s Kevin Schuhmann goes back many years and has been forged on Kevin being able to provide Stephen with reliable, honest and quality equipment solutions which has contributed to the sustained success of the Wemyss Transport business. “We initially supplied Wemyss with their first Panus Skel back in early 2015 and whilst the market trend is for light-as-possible Skel trailers, there is still demand for high quality solutions that aren’t necessarily weight critical,” Kevin explained. The standard Panus 40ft Skel specification fitted the bill perfectly for Wemyss Transport who appreciated the fast turnaround time and immediate delivery carried out by K&J Trucks to help them commence work as soon as possible.